For Dr. Steven E. Epstein, some of his earliest, fondest memories were the births of kittens in his childhood home. "We had all sorts of animals, from guinea pigs, hamsters, mice, rabbits, geese, cats, and dogs," Dr. Epstein says. "My childhood hero and mentor was a friend’s father—a veterinarian and musician. I have pursued both of the same interests throughout my life with great satisfaction." 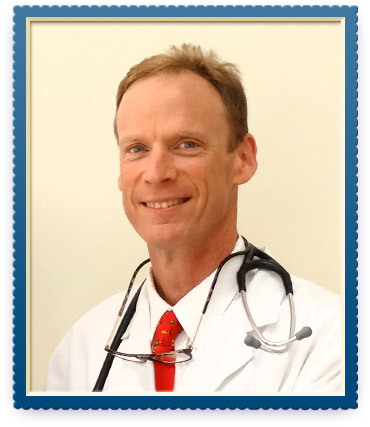 Dr. Epstein earned his Doctorate of Veterinary Medicine from Tufts University School of Veterinary Medicine. Before joining Animal Hospital of Ivy Square, he practiced in New York City in multi-doctor practices, gastroenterology referral hospitals, and emergency and critical care centers. He also served as an appointed officer of the New York Veterinary Medical Association, and provided his veterinary expertise at the Westminster Dog Show and at the Madison Square Garden Cat Shows in 1991 and 1992. Dr Epstein is a member of the American Veterinary Medical Association, the Virginia Veterinary Medical Association, the American Animal Hospital Association, and the Jefferson Area Veterinary Medical Association. He was an appointed member of the veterinary advisory board of the SPCA for several years. Dr. Epstein also headed the Veterinary and Facilities Committee of the Charlottesville Albemarle SPCA. He has served as the Saint Anne's-Belfield School Veterinary advisor and donates his time and skill to care for the school’s pets. He has also provided low-cost veterinary services to Animal Connections and other animal welfare organizations for over 24 years. When asked what he finds especially rewarding about being a veterinarian, Dr. Epstein says it’s the "ability to improve the quality of the lives of animals in our care by using the most modern diagnostic and therapeutics available." Dr. Epstein’s dedication to animal care is perhaps best illustrated by the following experience involving a rather miraculous rescue. "A public announcement was made late one night over the radio: A dog had been hit by a car, was seriously injured, and was lost in the woods," Dr. Epstein remembers. "I organized a group of concerned people in the community and we were able to locate and transport this poor dog to the hospital. It was late at night, and with their help, I was able to treat this dog for shock and bleeding. Although this dog lost its hind limb, he had a wonderful life as a three-legged dog. The owners sent me a heartwarming thank you letter, as well as photos of their happy, healthy dog." Dr. Epstein and his family currently have a horse named Toast, three Sicilian donkeys, two dogs named Skippy and Pepper and two cats named Camper and Stingo. He is an Eagle Member of the Wildlife Center of Virginia. Dr. Elivira Tate Hoskins grew up in Atlanta, Georgia. She graduated from the University of Virginia in 1992 with a Bachelor's degree in Latin American Studies. 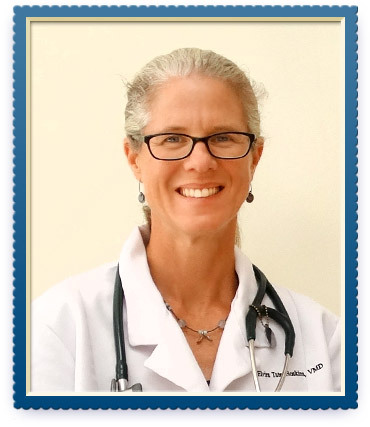 Following her undergraduate education, Dr. Hoskins earned her Veterinariae Medicinae Doctoris from University of Pennsylvania School of Veterinary Medicine in 2000. Dr. Hoskins moved back to the Charlottesville area in 2000. She lives downtown with her husband, three daughters, a dog, two cats, three rats, a gecko, a grog and a fish. Outside of work, Elvira enjoys hiking, running, skiing, biking, painting, gardening, camping and spending time with her family.